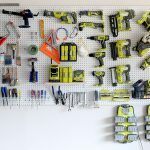 Organization is one of my love languages. A place for everything and everything in its place. I function better when things are in order and this new Husky 22 in. 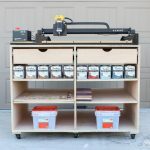 Connect Rolling System Tool Box makes my heart happy. 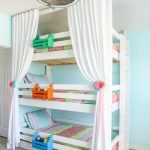 When we were building a triple bunk bed for my neighbor (a mother of triplets! ), I was able to pack up everything I needed and transport it down the street to her house easily and efficiently. 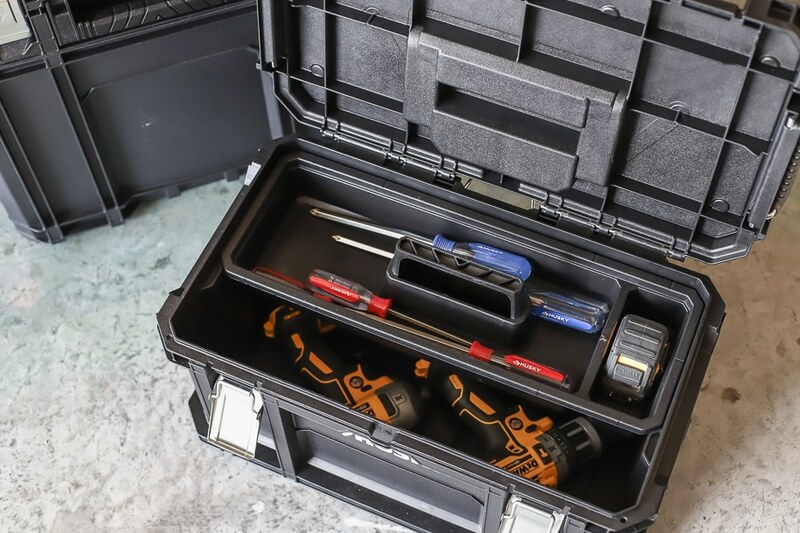 This rolling tool box features an interconnecting system that allows you to customize the way you transport your tools and accessories. 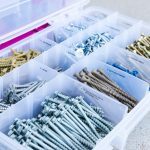 There are three main parts – a small part organizer that’s great for screws and fasteners, the middle tool box with a removable tray that holds medium sized tools, and the largest tool box great for larger tools and materials. 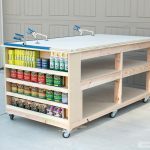 Each compartment stacks neatly on a rolling cart with a telescoping cart handle. 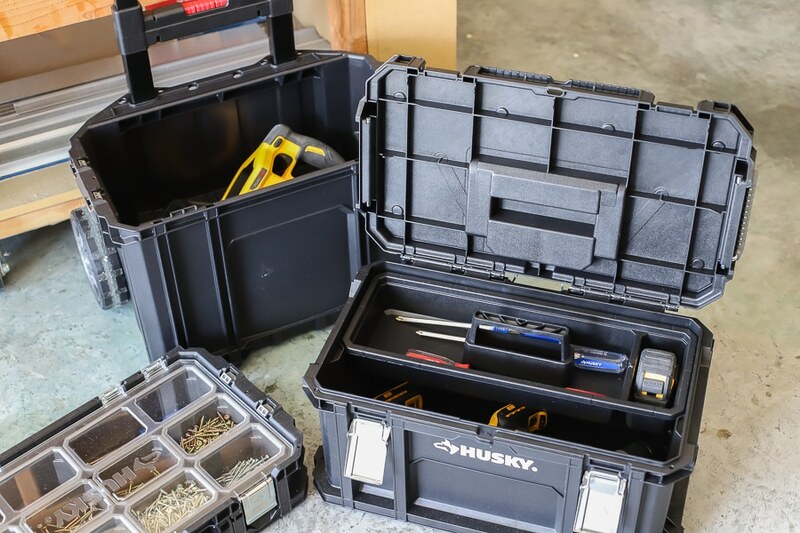 The top toolbox stores all the bits and pieces. 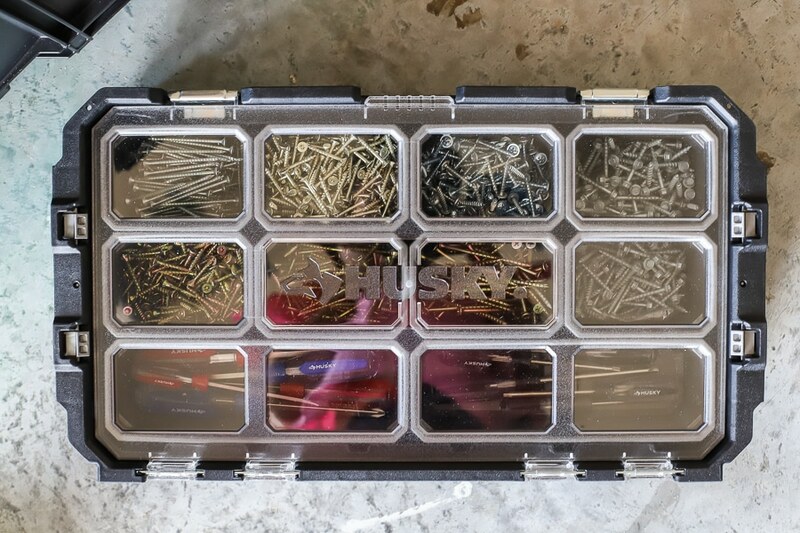 Each little gray bin is removable, so you can organize all the pieces and parts to your heart’s desire, then pick up each individual container and take it where you need it. 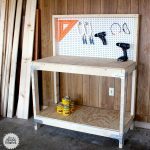 The whole thing can be detached from the rolling cart, so you can even drop it into a drawer for fast and tidy organization. I mean, can you even with this photo? Isn’t is oddly satisfying? 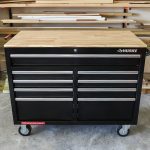 The middle tool box has a removable tray included and this is where I store my power drills and manual drills (screwdrivers). 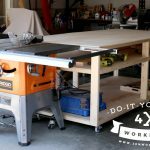 The bottom toolbox is large enough to store bigger tools, like my Dewalt worm drive style circular saw. It’s attached to the rolling cart, which has 7-inch wheels and a telescoping cart handle. 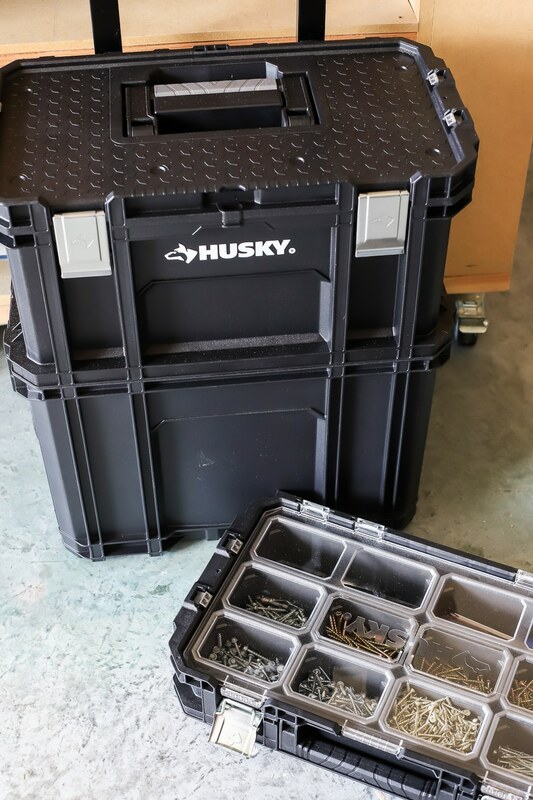 This whole system is compatible with the Husky connect cantilever toolbox and organizer. 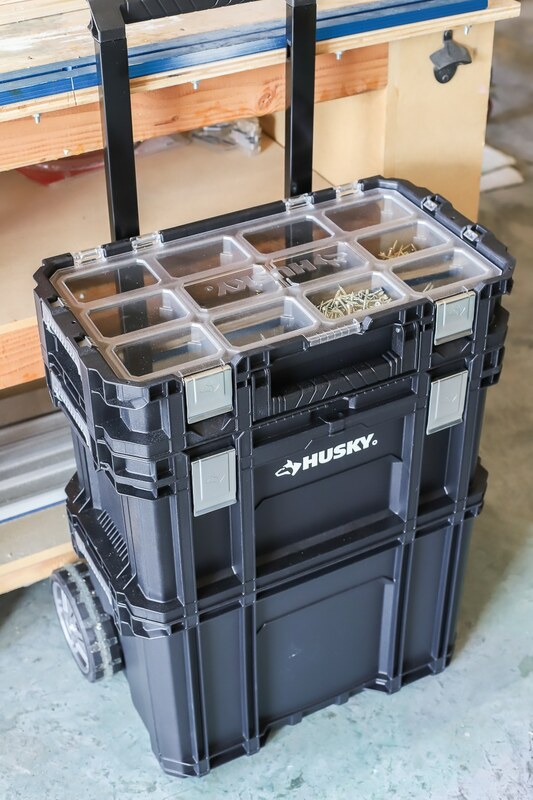 If you’re in the market for an organizing solution that makes both on-site and off-site jobs more efficient, you’ll love the new Husky 22 in. 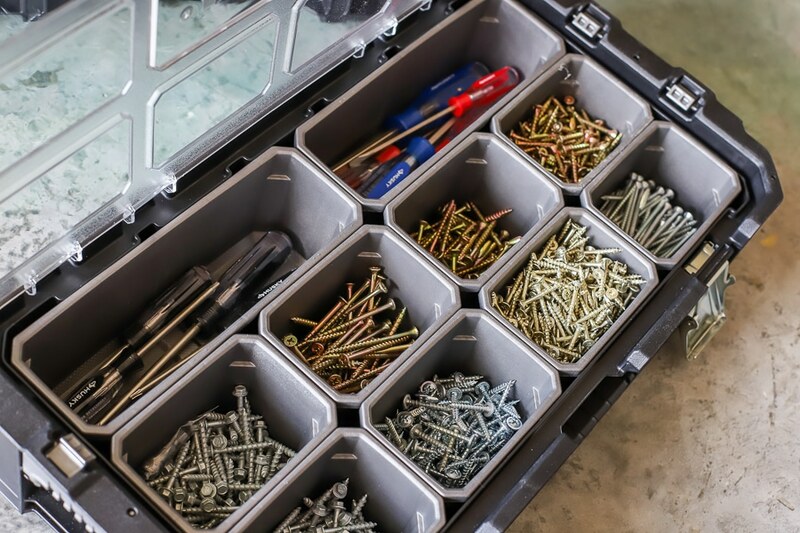 Connect Rolling System Tool Box.